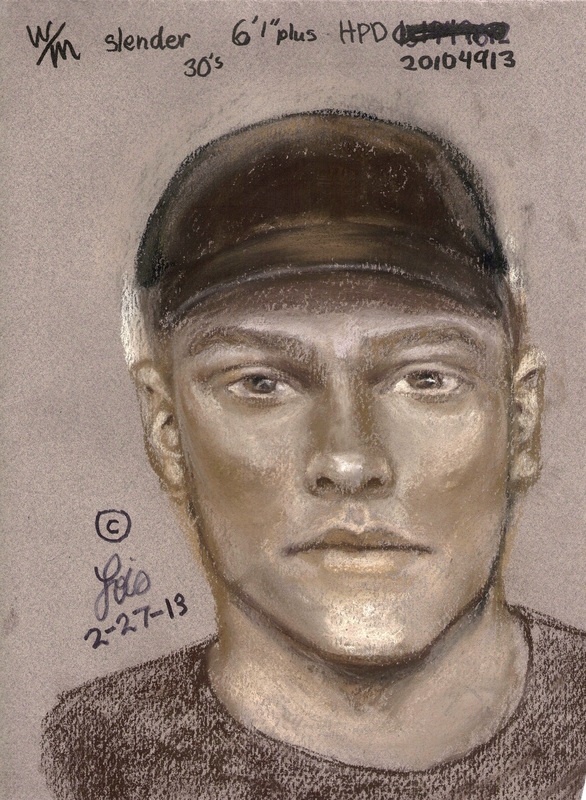 Houston police are asking for the public’s help in identifying a suspect wanted in at least six cases of indecent exposure in the Kingwood area since November 2012. The suspect is described only as a white male in his 30s, about 6 feet tall, with a slender build. He is believed to have shaved his head to change his appearance. A composite sketch of the suspect is attached to this news release. November 28, 2012 – 11:05 p.m.
December 2, 2012 – 11:50 p.m.
December 31, 2012 – 12:25 a.m.
February 17, 2013 – 12:01 a.m.
April 6, 2013 – 10:15 p.m.
April 20, 2013 – 1:15 a.m. In at least one of the incidents, the suspect was seen leaving in a white 2009 to 2012 four-door Nissan Altima. The suspect wears varied clothing during the incidents, which include a dark hoodie, a black long sleeve shirt, a dark blue jogging suit or a gray T-shirt and no pants. He was also seen wearing a black baseball cap and round clear glasses. The suspect has approached the female victims in the stairwell or the parking lot of the apartment complex, exposed himself and then left the scene. Anyone with information in these cases or on the identity of the wanted suspect is urged to contact the HPD Kingwood Patrol Station at 281-913-4500 or Crime Stoppers at 713-222-TIPS.